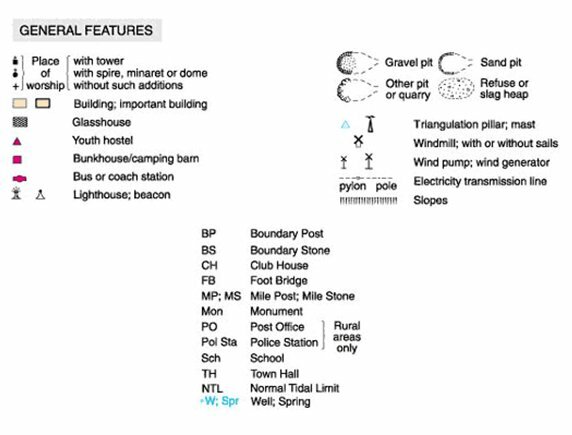 GeogSplace: As easy as pie! 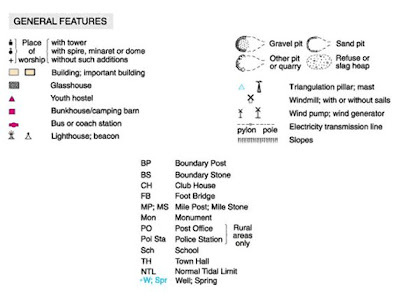 We are all geographers, so basic mapping should be as easy as pie for us. Here is a really basic guide to mapping to think about and jolt those brain cells. Maps are representations of the world created by people called cartographers to help other people navigate the world. 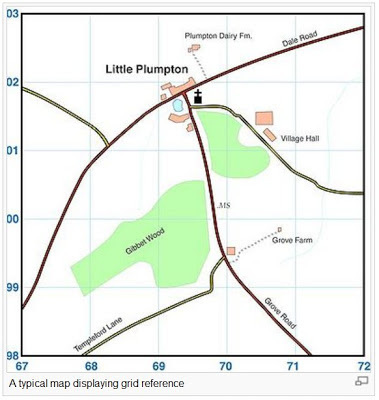 Maps contain information tailored to a specific purpose. A road map, for example, contains information that helps the reader get from one place to another using a vehicle. The maps found in a geographical atlas will contain information of less interest to a road user, such as how the land in a place is used, the population density and the political boundaries that exist between regions, states and nations. Maps are divided into numbered squares. These squares can be used to give a place a four or six-figure grid reference. It is important that you know both four-figure and six-figure grid references. Eastings are lines that run up and down the map. They increase in number the further you move east (or right). You can use them to measure how far to travel east. Northings are lines that run across the map horizontally. They increase in number the further you move north (or up the map). You can use them to measure how far to travel north. Just like a key to a door, the legend/key on a map helps you to unlock the information stored in the colours and symbols on a map. You must understand how the key relates to the map before you can unlock the information it contains. The key will help you to identify types of boundaries, roads, buildings, agriculture, industry, places of interest and geographical features. 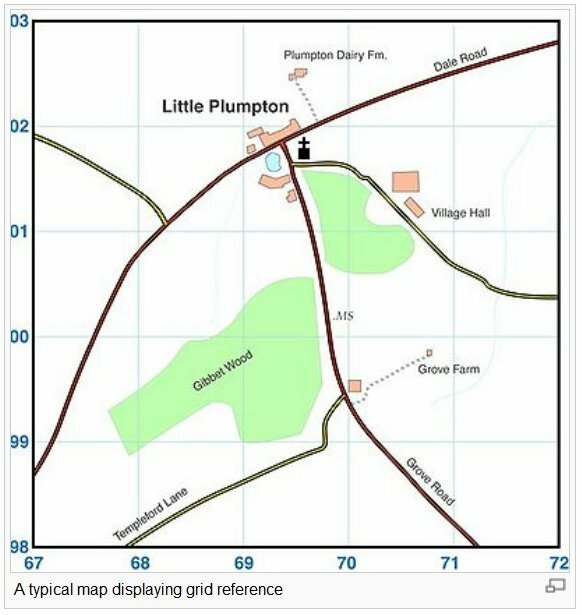 The title of a map gives you a general idea about the information it stores. 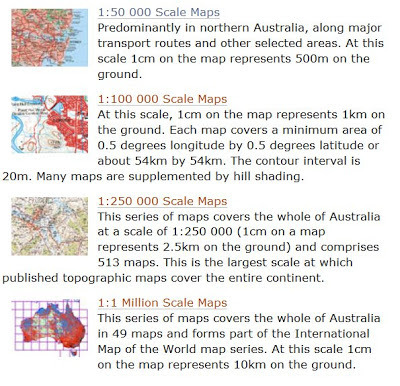 The scale of a map allows a reader to calculate the size, height and dimensions of the features shown on the map, as well as distances between different points. The scale on a map is the ratio between real life sizes and how many times it has been shrunk to fit it on the map. With a 1:50,000 scale map, 1 cm on the map represents 50,000 cm on the ground (= 500 m or 0.5 km). 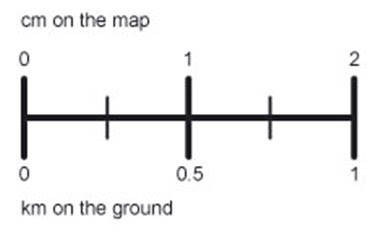 a. ratio or representative fraction (RF) indicates how many units on the earth's surface is equal to one unit on the map. It can be expressed as 1/100,000 or 1:100,000. In this example, one centimeter on the map equals 100,000 centimeters (1 kilometer) on the earth. Or even 1 paperclip on the map is equal to 100,000 paperclips on the ground. b. A word statement gives a written description of map distance, such as "One centimeter equals one kilometer" or "One centimeter equals ten kilometers." 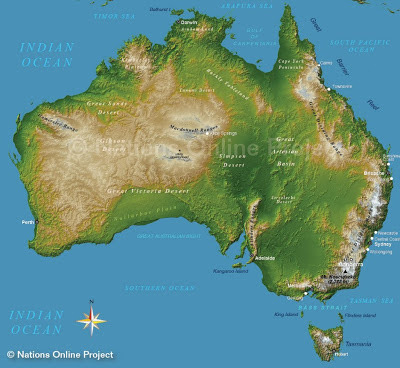 Obviously, the first map would show much more detail than the second because one centimeter on the first map covers a much smaller area then on the second map. c. A graphic scale is simply a line marked with distance on the ground which the map user can use along with a ruler to determine scale on the map. Mapping our World is a site explores the relationship between maps and globes, and how different projections influence our perception of the world. It challenges the idea that there is one 'correct' version of the world map. An online game where you return the "misplaced" country on the world map. As you move the country north or south the country expands or contracts according to how that country would be projected if that were its actual location on a Mercator map. The ancient Greek geographer Ptolemy created a grid system and listed the coordinates for places throughout the known world in his book Geography. But it wasn't until the middle ages that the latitude and longitude system was developed and implemented. This system is written in degrees, using the symbol °. When looking at a map, latitude lines run horizontally. 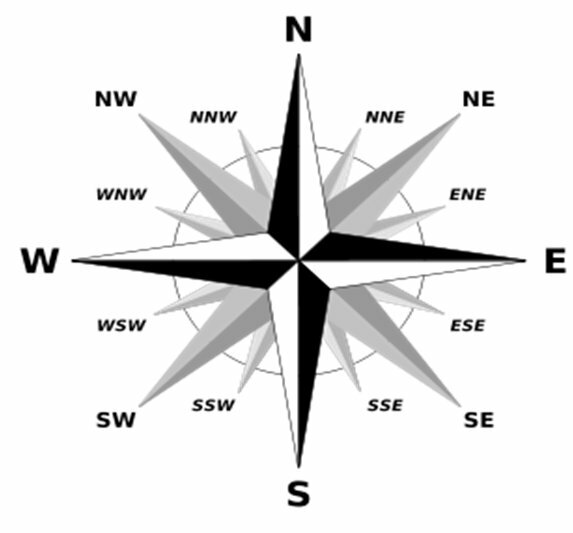 Latitude lines are also known as parallels since they are parallel and are an equal distant from each other. Each degree of latitude is approximately 69 miles (111 km) apart; there is a variation due to the fact that the earth is not a perfect sphere but an oblate ellipsoid (slightly egg-shaped). To remember latitude, imagine them as the horizontal rungs of a ladder ("ladder-tude"). Degrees latitude are numbered from 0° to 90° north and south. Zero degrees is the equator, the imaginary line which divides our planet into the northern and southern hemispheres. 90° north is the North Pole and 90° south is the South Pole. The vertical longitude lines are also known as meridians. They converge at the poles and are widest at the equator (about 69 miles or 111 km apart). Zero degrees longitude is located at Greenwich, England (0°). The degrees continue 180° east and 180° west where they meet and form the International Date Line in the Pacific Ocean. Greenwich, the site of the British Royal Greenwich Observatory, was established as the site of the prime meridian by an international conference in 1884. To precisely locate points on the earth's surface, degrees longitude and latitude have been divided into minutes (') and seconds ("). There are 60 minutes in each degree. Each minute is divided into 60 seconds. Seconds can be further divided into tenths, hundredths, or even thousandths. For example, the U.S. Capitol is located at 38°53'23"N , 77°00'27"W (38 degrees, 53 minutes, and 23 seconds north of the equator and 77 degrees, no minutes and 27 seconds west of the meridian passing through Greenwich, England).